Sales Automation: In the Direction of Connection by Nikolaus Kimla - SalesPOP! There are many things we can say about automation—but probably the most relevant thing is that the goal is interconnection. This means connection between all sites, companies, and systems where such connection is required and sensible. Coming out of the past, each individual system has its own peculiarities. That is why, in today’s attempts at interconnection, the old legacy systems—mainframes or physical servers—are the biggest problems. In the old days, this wasn’t an issue, because each company was totally isolated from others automation-wise. It didn’t matter if they all ran different technologies, had different protocols, and different ways of communicating—they were never intended to be interconnected. They were all isolated off in their own computer centers. As we move forward in history to the late 1980s, I personally remember utilizing technologies such as Token Ring and PhoneNet. These were the first networks. They were only local, however, and were very slow. The networking technology that began the big change was, of course, Ethernet, which was key to making the internet possible. At the time it seemed as if we’d truly arrived in the future—but looking back on it, the squealing of modems and the unbelievable slowness of waiting for a picture to appear on our screens sure doesn’t seem very futuristic now! One company that was really able to take advantage of the expansion in connection was Cisco Systems because they specialized in connecting companies, server farms and data centers to each other. There were still many issues, though, as all of these sites had been established with different technologies—they “spoke different languages.” The solution was to create and program connectors to bridge one system to another. A whole industry grew up around these requirements. Despite these connections, as previously noted internet speed was not nearly what it is today. No one in Europe was thinking about connecting to a company in the U.S. and transporting all their data. They would wait forever! So the solution was to connect to places where the data already resided. The next major step was the realization that we could move to the cloud. I must give credit where credit is due, and acknowledge Marc Benioff and Salesforce for pushing the cloud to its next level. Although it represented a true paradigm shift, in the beginning, no one really understood what the cloud was all about, and many were leery of it. Once the cloud was up and running, though, we were still faced with complexity when it came to applications working with each other. We had different kinds of protocols (such as SOAP), but we realized that we needed a single layer through which applications could be integrated. Then came the breakthrough of API management. API—Application Program Interface—meant that applications could interact with each other. The easiest way to visualize an API, I think, is as a socket. A perfect analogy is the way Apple innovates technology. They were the first to do away with CD drives in their computers, and everyone wondered how we would live without them. Then they changed USB connections to USB-C. Both of these meant that, with Apple, you always need some kind of converter. For example, I have a converter on my computer so that I can connect an Ethernet cable to Apple Thunderbolt. In another example, others have HooToo hubs to convert USB to USB-C. An API can be likened to such a converter, to enable one system to work with another. I personally believe the future for APIs is enormous and is with us right now. We began very early in the history of our product Pipeliner CRM to make open APIs available so that other applications could connect to ours. 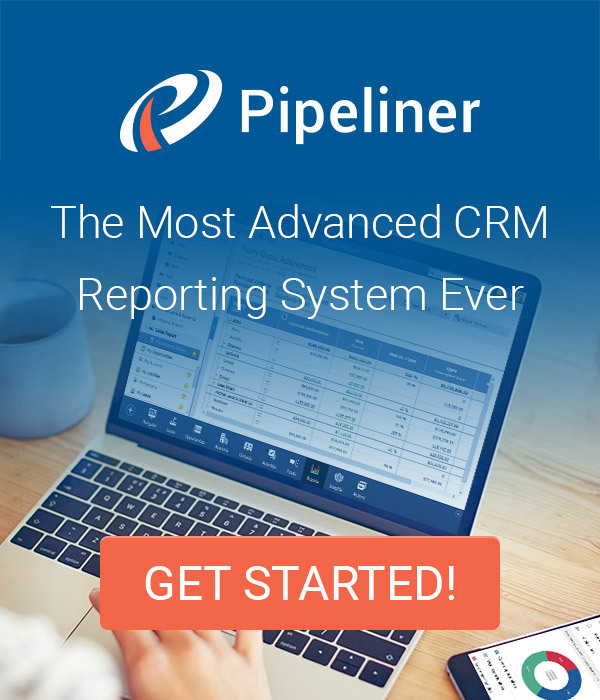 API documentation and code is easily available right within Pipeliner CRM. The technology for such connection is there at speeds that 10, 15 years ago weren’t even possible. There are different types of APIs. At Pipeliner, we’ve been using the traditional REST (Representative State Transfer) API for some time. We’re now already using the next generation of APIs, GraphQL. GraphQL is Facebook’s open standard for querying data, and it is said to have a more efficient, structured and systematic alternative to REST. All of this possibility is brought about because most systems are living in the cloud. There are many cloud providers, such as Amazon Web Services (AWS), IMB Cloud, Microsoft Cloud and others. Such a service means 100% access, because 99.99 percent uptime is actually guaranteed. What if your servers were local and there was a power outage? You’d be out of business for that time. This never happens with the cloud. What Can Be Done with Automation Today? Before you connect anything, you should, of course, think about exactly what you want to achieve. Prior to creating an API, you must create business logic. Just to take a peek at the future, it’s all about the Internet of Things. This is coming down the road very fast. I’m personally using the first version of this. I have milk, water, and some other staples delivered through Amazon or another company. But if my refrigerator was intelligent, it would be able to sense when I was running out of, for example, milk, and would automatically order it. The refrigerator could read bar codes on items, and the milk would just show up in the refrigerator. In a business example, a particular bar-coded electronic component, utilized in a piece of machinery, could be kept on hand in a factory. As these components are used up in manufacturing, the container that holds these components informs the proper section of the factory, and more can be made and sent over. This could theoretically occur with no human intervention whatsoever. This will happen more and more as processes are automated. Of course, the processes must be designed, tested and built first. 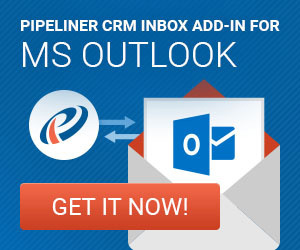 For the future of CRM, one particular function—which we already have in Pipeliner—makes an enormous amount of sense. 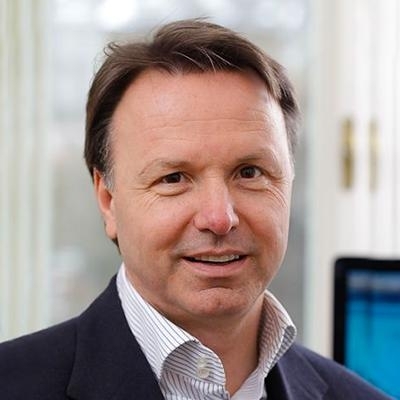 The main commodity that goes into CRM is, of course, data. There are many data providers—Brickstream, FullContact, Clearbit, and many others. In light of all this data being available, there is nothing more painful than having to manually enter every piece of data, every time it is needed. If data is out there—such as with a public company—simply entering the company name and, perhaps, its web site should be enough for the rest of the data (address, phone, etc.) to be filled in automatically. At the very least CRM should supply this functionality. This is what occurs with Pipeliner. Stay with me in this series as we discover just some of the many benefits sales automation can bring to specific areas.